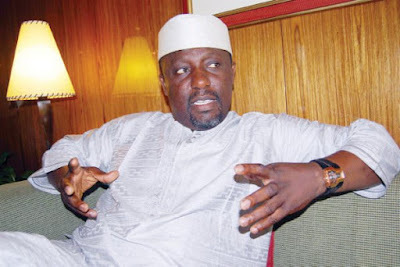 Imo State Governor, Rochas Okorocha, says whoever will take over from him as governor may be stoned by the people if his performance falls below his standard. Okorocha said this in a chat with State House correspondents on Friday. His words: “I am in this job not for the profit of it but for the honour and glory of the job. So I want to leave a legacy. I want Imo people to miss me and they will definitely miss me. Believe you me they have not seen such developmental work before now and they will miss it. “The only problem I have is that anybody that comes after me and does not perform will be stoned. Because you cannot come to Imo State now and say you want to abolish free education from primary to university, they will not accept. I have spoilt Imo people believe me. “You cannot come to Imo State and say you want to give them a single lane road when they are now used to eight lane road in the city, they won’t accept it. You cannot come here and tell the children to go to schools where the floors are not tiled they will not accept because all the schools have been rebuilt. I have rebuilt 450 schools. “You can no longer take them to those ramshackle hospitals, those shanties they called hospitals because I have built 27 to 200 bed general hospitals. You can no longer tell them those stories. All the infrastructures are there. “I stand to be challenged and corrected by anybody that what we have done in Imo State in six years can be comparable to what any governor in that state living or dead has done.